Of course, the romantic comedies we watch can actually teach us a lot about love and relationships! Below are some of the lessons I’ve taken away from these films, which will hopefully enhance your love life and bring you the happiness you seek! Readers, what are some of the lessons you’ve taken away from the movies you’ve watched? Sound off in the comments section below! It has become a widely accepted fact that the plots of romantic comedies are just not realistic (for further proof, see here and here). 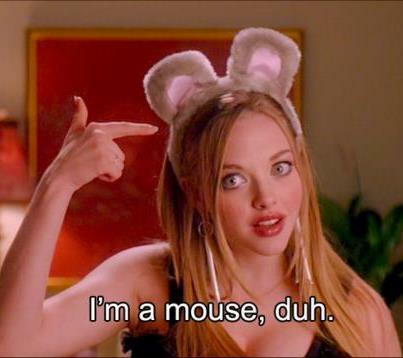 Growing up with the now often-parodied teen flicks of the 90s and early 2000s, I can attest to the fact that the movies I watched when I was younger played a huge role in the misconceptions that I and so many of my peers had when it came to relationships. If a guy treats you poorly, he likes you. If you argue a lot with another person, it means you have chemistry. 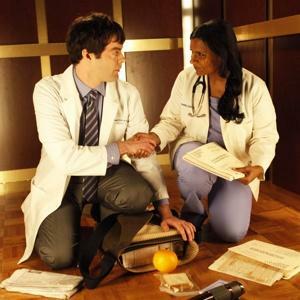 And if all else fails, you’ll probably just wind up with your best friend anyway. I think we can agree that these misconceptions are harmful, but until recently, I didn’t stop to think just how harmful their portrayals of women could be. Most female characters fall into two categories: desperate to fall in love and get married (think of Ginnifer Goodwin in He’s Just Not That Into You), or too career-driven to ever want or attract a man (Sandra Bullock in Two Weeks Notice, The Proposal, Miss Congeniality or perhaps any other movie she has ever been in). Let’s call this second character Jane. These movies do an incredible disservice to Jane and characters like her because they paint them as cold, out of touch and clearly Missing Something. In fact, there is usually a best friend character prone to “messy” relationships who summarizes this sentiment early in the film by stating that Jane is so set in her ways and afraid of getting hurt that she risks finding true happiness. Also, would it kill her to put on a little more makeup and wear her hair down once in a while? Never mind the fact that Jane loves what she does for a living and is well suited for it. Pop culture tells us that the woman who focuses “too much” on her career is simply doing so to distract herself from finding a soul mate. Only when she lets her hair down (literally and figuratively) and demonstrates some form of vulnerability, perhaps by crying or getting drunk in front of the male love interest, does she open herself up to a happy life. Only then does she truly become the character we like and root for. After all, what man would want to be with a woman who enjoys her job? If a woman rejects a man or decides to put her career first, pop culture labels her as cold. (Tweet this!) What the movies – and the people who watch them! – fail to think about is the fact that we all have different priorities at different points in our lives, and while a woman may hope to marry and have babies someday, she might not be ready for that stage. There are a few exceptions to the romantic comedy genre that don’t posit relationships and careers as an either/or for women, but all too often, pop culture dictates that we must choose (and that “career” is the wrong choice). Society – and women especially – need to remember that these options are not mutually exclusive, and that they can have both. 1. Person A stops the wedding of Person B, and the two ride off into the sunset together. 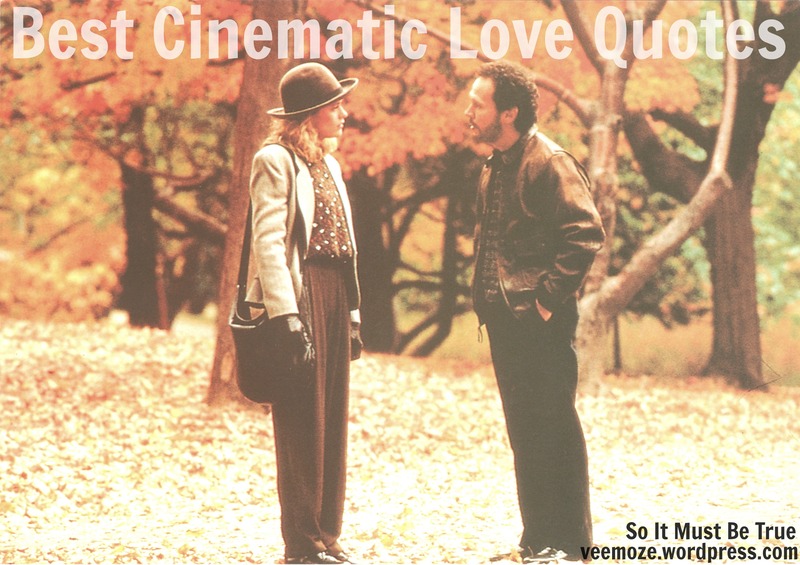 This romantic comedy staple has always bothered me! First of all, who waits until the day of their beloved’s wedding to declare their love for that person? Second of all, who would want to be with someone who would leave their betrothed at the altar? Here’s what really happens when Person A stops Person B’s wedding: The two “ride off into the sunset” and enjoy a few happy months together before Person A starts to question whether Person B would actually run out on their wedding. Person B realizes that the woman he almost married has gotten better looking and more successful, and wonders if he made a mistake. Person A and Person B become so resentful of one another that they break up after a year and never speak again. 2. Guy falls in love with quirky commitment-phobe who has a few serious issues and tries to fix her. Unfortunately in real life, this happens all too often, but with one catch: he can’t fix her. 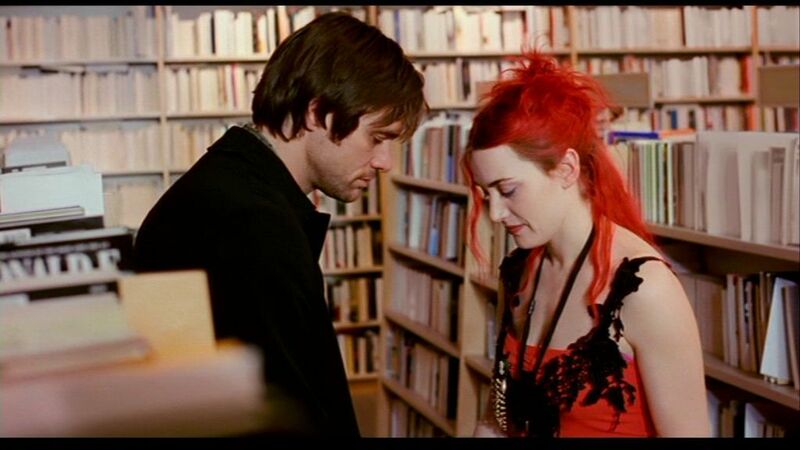 People are drawn to the manic pixie dream girl or manic pixie dream boy (see: Kate Winslet in Eternal Sunshine of the Spotless Mind, Zooey Deschanel in 500 Days of Summer, etc.) but they don’t realize that they can’t change someone who doesn’t want to change. 3. Two friends with benefits fall in love and live happily ever after. In real life, these arrangements are usually much more complicated. Although attachments do occur, they are usually incredibly one-sided. Person A may be in love with Person B, but Person B doesn’t take Person A seriously as a potential love interest, and quickly brushes Person A aside once the stronger feelings have become more apparent. Hint: Do not start a “friends with benefits” situation with anyone you are even considering starting a relationship with in the future. 4. A journalist lies about something important for an investigative piece, but winds up falling in love. 5. Person A lies to Person B about everything, but they still end up together. Person B finds out in a horrible twist of events that Person A has been lying about something very important: his marital status, his identity, etc. In real life, this would lead to a lot of resentment later on. After all, how can you really trust a 25-year-old journalist who claimed to be a high school student in your English class? (Yes, I am still on Never Been Kissed!) Things might work out temporarily, but not very likely in the long run. 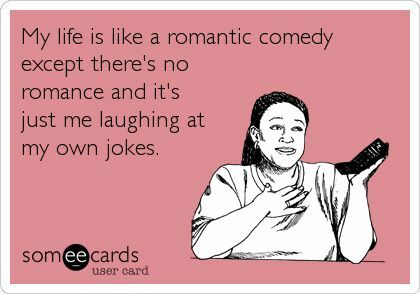 Any other romantic comedy plots that you would argue would/would not work out in real life? Enjoy the list, and please feel free to add your own favorites in the comments section below! Well, friends, what are some of your favorites? Happy February! Valentine’s Day is just a few short weeks away, which means it is time to break out the chocolates and force our significant others to watch our favorite romantic comedies with us. (It also means that you’ll be seeing a lot more dating/relationship articles on my blog this month!) Of course, as I look back at some of my own favorites, I realize that the plots of many of these stories could have been radically different if they were set in 2014. This week, let’s take a look at some of the classics, and discuss the alternative endings that would have taken place in modern day. 1. You’ve Got Mail (1998). In the original film, Meg Ryan (ShopGirl) and Tom Hanks (NY152) are real-life business rivals who unknowingly fall in love with one another after meeting in an AOL chat room. They exchange IMs and emails, gaining a deeper insight into one another. The idea of falling in love on the computer was very new at the time, and while still relatively modern, the film would have a few key differences in 2014. Meg Ryan would have met NY152 on Facebook, and the two would exchange messages until he revealed himself as a Catfish in the end. 2. Pride and Prejudice (1813). The book came out in the 1800s, but multiple film adaptations have occurred since. In modern day, celebutante Lydia Bennett (protagonist Elizabeth Bennett’s sister) would marry Mr. Wickham in Vegas, but when their marriage winds up in Star Magazine, Mr. Darcy sues the tabloid and saves the Bennett family’s reputation. Elizabeth gives up on her hatred for Darcy and decides to date him. 3. Never Been Kissed (1999). In the film Never Been Kissed, Drew Barrymore’s character (who has never been kissed) falls in love with her very attractive English teacher. When he finds out that Barrymore is actually a 25-year-old reporter, he takes this as a personal betrayal and leaves. As her apology, she urges him (via newspaper) to kiss her at a baseball game. Of course, in that end scene, she waits for the teacher and almost gives up, as he doesn’t show up right on time. In 2014, however, he would have sent her a simple text message: “Omw, running late.” A lot of tension would have been lifted from this scene! Audrey Hepburn plays a runaway princess who spends a day with an American reporter (Gregory Peck) in Rome, who has secretly discovered her identity and plans to exploit it in the paper. In the 2014 version of this movie, however, he wouldn’t have to — local passersby would identify her on the street, snap photos for Facebook and Instagram, and the paparazzi would soon swarm. Also in this version, because we crave happy endings, Hepburn and Peck end up together. 5. Sleepless in Seattle (1993). 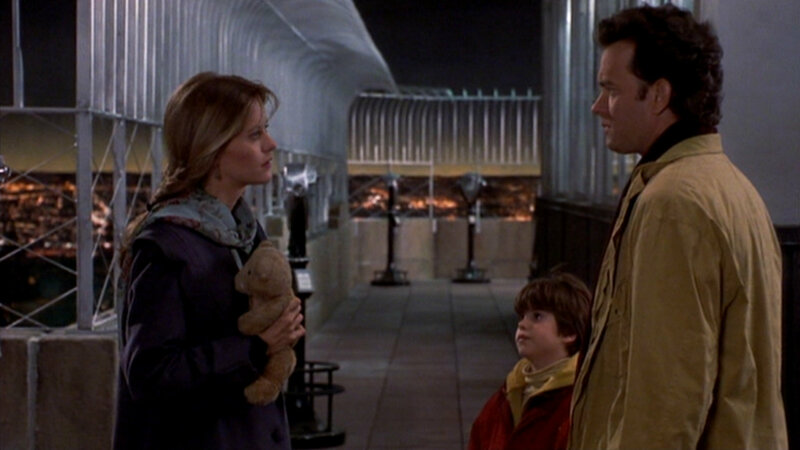 In the modern version of Sleepless in Seattle, Tom Hanks’ son sets up an online dating profile for his father, who lost his wife a while ago. Women across the country fall madly in love with him, and the son quickly chooses Meg Ryan’s character as his father’s soul mate. Tom Hanks is apprehensive about meeting her at the Empire State Building, but when he looks her up on OkCupid and sees how pretty Meg Ryan is, he decides to give the relationship a chance. And the rest is history. As Valentine’s Day looms dangerously close by, we begin to think more and more about love and relationships based on our current frames of reference. Even if you have a significant other, you might still be a sucker for cheesy romantic comedies, and this could potentially affect your own beliefs about what “love” really looks like. In my own life, pop culture has played its role in shaping my expectations, for better or for worse. In honor of Singles Awareness Day/Valentine’s Day (depending, of course, on your relationship status and/or feelings about Hallmark), I would like to present the five things that pop culture taught me to expect in the world of relationships. 1. Every social encounter is a potential meet-cute. It doesn’t matter where you are or why you’re there; any time you meet someone of the desired gender, you have the chance to find real love. This allows you to turn an awkward situation, such as running into each other and dropping all of your belongings on the ground, into something more meaningful. If your eyes meet for more than a few seconds as you laugh and help each other to pick up your things, it’s a sign of good things to come — and if your hands brush against theirs, it’s obvious that you’re soulmates. You can apply similar logic to other situations as well: meeting someone at a bar, admiring the same painting in an art gallery, reaching for the same book in a library. It doesn’t matter if the other person doesn’t see all of this as reason to exchange numbers or break up with their current significant other; as long as you keep your mind open, any moment can become a meet-cute. 2. The one who has been around the longest is the one you’ll end up with.“I’ve been right here in front of you the entire time!” the romantic female lead exclaims as she plants herself in her male best friend’s doorway. “I was here all along!” This rule can go two ways: either you will end up with your best friend, or you will end up with the person whom you met in the very first episode (a la Carrie/Mr. Big) of Your Love Life. Either way, longevity will trump all else in the game of love. 3. If all else fails, you can broadcast your search for love to the entire world. By becoming the next Bachelor or Bachelorette on ABC, you will not only have countless attractive dental assistants and entrepreneurs of ambiguous backgrounds vying for your attention, but you will also have access to an unlimited wardrobe of evening wear. Falling in love on television is totally genuine and foolproof; even if you don’t end up married later down the road, you are at least contractually obligated to get an engagement out of it, and your entire courtship will be littered with poorly disguised metaphors. Who wouldn’t want that? 4. Your relationship will have its own montage. Every memorable moment that has led up to your declaration of love will flash before your eyes. This montage will be relatively short – no more than three minutes – but will highlight your relationship’s “Best Of” moments. This also happens when you aren’t in a relationship but considering confessing your feelings for someone with whom you’ve developed a close friendship. This montage is a mental one, so don’t be creepy and put anything together in iMovie. 5. Your relationship will be scored by a mix of 1980s love songs and modern indie music. I always imagined that The Glory of Love by Peter Cetera would start playing the moment I realized I’d found “The One” (okay, maybe not always, but at least since I watched last season of The Bachelorette). The truth is, if pop culture has taught us anything, it’s that our relationships will take up entire soundtracks – and bands like Foreigner, Death Cab for Cutie and Sparklehorse will be the main attractions. Our relationships will consist of sweet if not slightly poppy melodies, smarmy songs that came out the year before we were born and a few songs by obscure bands we’ve never heard of. Get your iTunes ready. What are some of the things that pop culture has taught you to expect about falling in love?